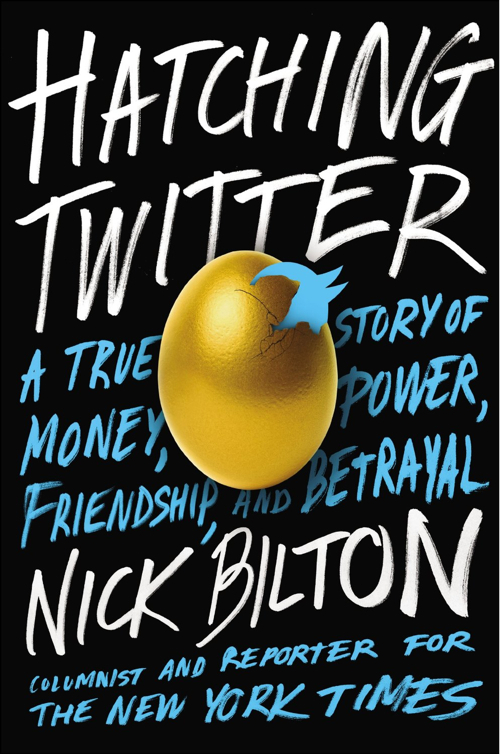 San Francisco-based New York Times‘ columnist and reporter Nick Bilton has authored Hatching Twitter: A True Story of Money, Power, Friendship, and Betrayal, a book that tells the backstory of Twitter as it “grew at exponential speeds.” The book’s release date is November 5th, 2013 and it can be pre-ordered now at Amazon. Now Nick Bilton of the New York Times takes readers behind the scenes with a narrative that shows what happened inside Twitter as it grew at exponential speeds. This is a tale of betrayed friendships and high-stakes power struggles as the four founders—Biz Stone, Evan Williams, Jack Dorsey, and Noah Glass—went from everyday engineers to wealthy celebrities, featured on magazine covers, Oprah, The Daily Show, and Time’s list of the world’s most influential people. Bilton’s exclusive access and exhaustive investigative reporting—drawing on hundreds of sources, documents, and internal e-mails—have enabled him to write an intimate portrait of fame, influence, and power. He also captures the zeitgeist and global influence of Twitter, which has been used to help overthrow governments in the Middle East and disrupt the very fabric of the way people communicate.